Neil Gaiman www.NeilgaimanBoard.com www.NeilgaimanBoard.com Stuff and Things. 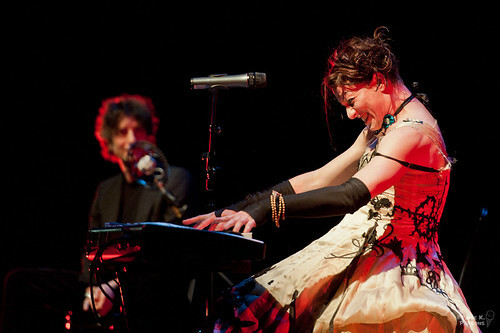 Tour Forum Pix: An Evening with Amanda Palmer and Neil Gaiman in San Francisco. Pix: An Evening with Amanda Palmer and Neil Gaiman in San Francisco. Thought you might enjoy these pix from last night's "An Evening with Amanda Palmer and Neil Gaiman" show in San Francisco. Thanks for the pictures,Paige. I love Neil and Amanda's relationship. They seem so well-suited for each other. Quick Reply to: Pix: An Evening with Amanda Palmer and Neil Gaiman in San Francisco.